Rob Segan is a global health and innovation specialist focused on using technology and data to improve dollars to results. He has more than 12 years of experience working in international development and in emerging markets, and he has worked on more than a $1B in winning proposals for a range of public and private sector clients including USAID, DFID, CDC, and DFAT. He has experience in managing a global team and leading trainings on Moneyball for development in Asia, Africa, and North America. 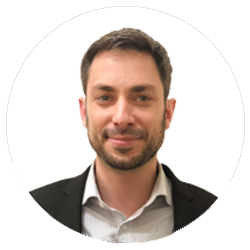 As Senior Technical Advisor, Rob leads QED’s Innovation team which works to translate new technologies and resources into greater efficiencies in international development. In this role, he drives the development of evaluation metrics and works to uncover new advances in private sector data for decision-making tools can be applied to development. The Innovation team is part of QED’s larger Global Health Solutions team with a presence in more than 15 countries. Prior to joining QED, he was a Senior Advisor for the Data Informatics and Analytical Solutions team at Palladium and led their Commercial Pricing and Value Analytics team. He has an MBA in Health Sector Management and an MPH in Global Health from Boston University.